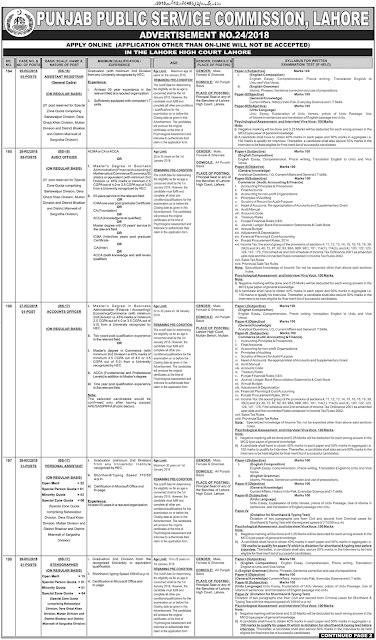 Punjab Public Service Commission (PPSC) of Pakistan announce the latest jobs in August 2018 (PPSC Jobs Today). Advertisement is for PPSC Jobs Today is come on today newspaper. Applications are invited for PPSC Jobs Today from all over the Pakistan. You can apply for PPSC Jobs Today by visiting PPSC official site. The advertisement no of PPSC Jobs Today is 24/2018. The closing date of PPSC Jobs Today is 27, August 2018. The minimum and the maximum age for applying PPSC Jobs Today is given below in advertisement. 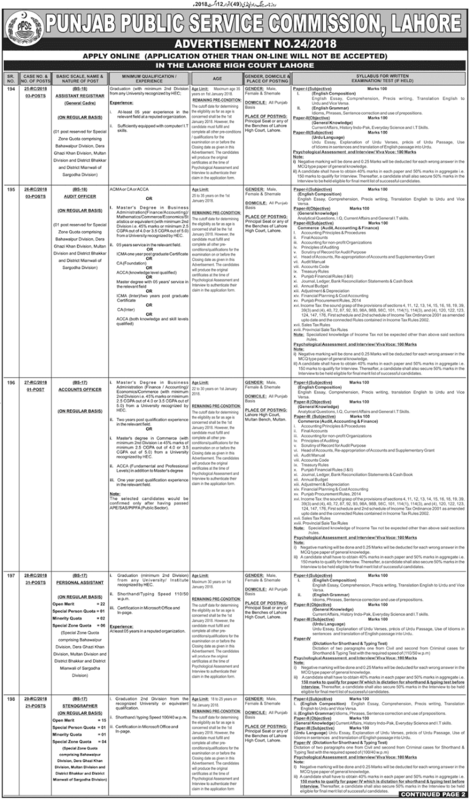 The qualification required for these jobs is also given in given below in PPSC Jobs Today advertisement.